Owly Baby: Baby Harriet is here! Baby Harriet (Hattie) is here! She was welcomed into the world at 3:30 pm on Wednesday, January 19th. She weighed in at 7 lbs 4 oz and measured 20.5 inches long. The labor and delivery went well and our entire family is getting to know to our newest member. There will likely be much less time for sewing projects over the next couple of weeks - sleeping will trump sewing for now. Although I'm already aching to sew again! 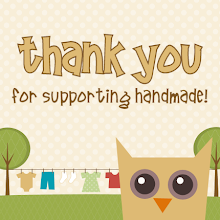 Thanks so much again to my sister who has been keeping up the Owly Baby etsy store. Oh my goodness! She's so adorable! Congratulations to you all! I love the pics...congrats can't wait to come down and play :) So proud of you! Congratulations Ruud family! She's beautiful! Enjoy your time together and the transition to 2! Absolutely Beautiful Baby! What a blessing. Congrats! congrats to you and your lovely new one! Absolutely beautiful and I love the name! I have an Aunt Hattie! :) Congrats congrats! She is stunning, really. Can't wait to see her in person. Did you know that you can create short urls with AdFly and receive $$$$$$ from every visit to your short links.